SPC or statistical process control is a statistically-based family of tools used to monitor, control, and improve processes. Statistical Process Control (SPC) training can be time consuming and frustrating because of the complex nature of the statistics underlying SPC control charts. 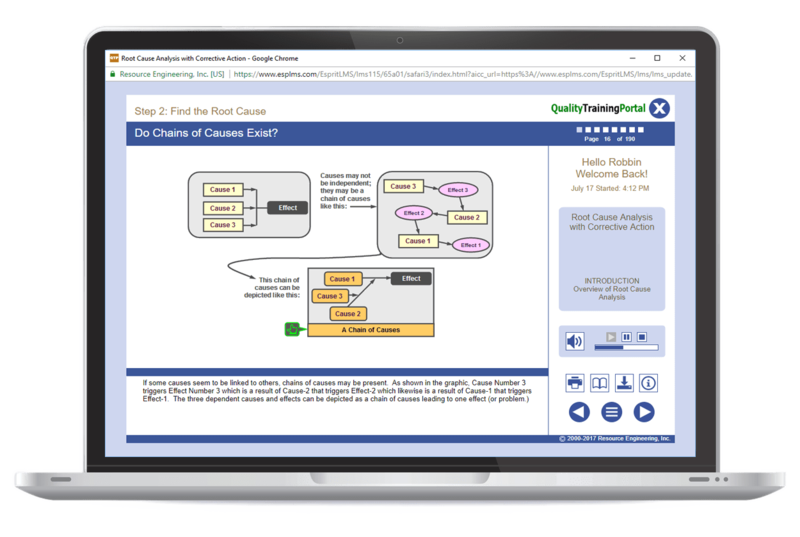 Basic SPC is a comprehensive online SPC training course for engineers, operators, and technicians that makes understanding and applying statistical process control (SPC) concepts easy. Selecting and setting up the right type of SPC control chart for a given process is crucial to getting the most benefit from statistical process control. With Advanced SPC online training, your in-house experts will be able to apply advanced statistical techniques and concepts throughout your operations. Training topics include selecting and setting up SPC control charts, determining the best control chart format to use for a given process, identifying different patterns of instability and knowing what they tell you about a process, as well as a step-by-step tutorial for conducting process capability studies following standard industry guidelines. Looking for Basic SPC Training? Conduct a full process capability study. A good understanding of concepts and measures of variation, ability to use control charts and knowledge of process capability. Basic SPC training or the equivalent. DOE: Screening Experiments – Comprehensive training in one of the most powerful families of Designs of Experiments – Screening Experiments. Includes training in both Plackett-Burman designs and Taguchi techniques. Explanations of Western Electric, AIAG, Nelson, and Boeing rules. Calculating control limits and establishing a baseline chart for IX and MR Charts. How-to conduct a process capability study. What to do if the process is not capable. Differences between Ppk and Cpk. What is meant by Six Sigma Quality. Prepare for and conduct a process capability study. Use the results of a process capability study to improve the capability of the process. Learn what to do if the process capability cannot be improved enough to meet the customer’s requirements. Know the differences between Ppk & Cpk. Know how to handle process capability study complications and challenges. Explain what Six Sigma Quality means. Be able to use Z-values. An assessment of the learner's progress in this unit. Learn what to do if the process capability cannot be improved enough to meet the customer's requirements.